Circle Talk: Minister in Training - Laura Gonzalez: Join Circle Ministers Jeanet & David Ewing as they welcome Circle Minister in Training Laura Gonzalez to discuss her journey as she works toward her Circle Sanctuary ordaining. Circle Talk: Dark Time Tarot with Laura Gonzalez: Join Circle Sanctuary Ministers Jeanet & David Ewing they welcome Circle Minister in Training Laura Gonzalez for a discussion on the use of Tarot during the dark time of the year for divination, introspection, rituals, and more. By Ed Komenda | September 15th, 2015 5:44 a.m.
• Each gathering is paired with a topic attendees use to develop a “co-created sermon” — an open discussion. The topic assigned to the group’s first meeting was “Bringing Magick to our lives.” People are encouraged to share ideas about the topic and ask questions. • Then it’s time for the ritual, which, according to Gonzalez, is best to experience firsthand. During the ritual, the Center’s organizers explain what is happening, step by step, and guests are welcome to ask questions as they explore the religion. The ritual is performed to raise energy to achieve personal goals of the group. The next South Side ritual — themed “Spirituality in Community” — will take place from 7-9 p.m. Sunday. A natural born Witch Laura discovered her abilities at an early age (sometimes even scaring her school mates). A natural psychic and Tarotologist, she also enjoys consulting the Spanish cards, and various oracles. Born in Mexico City, she is very familiar with Mexican folk magic and Pagan practices of her native land. A "Bruja" in tune with the cycles of nature and the magic within, she is always willing to help those in need. 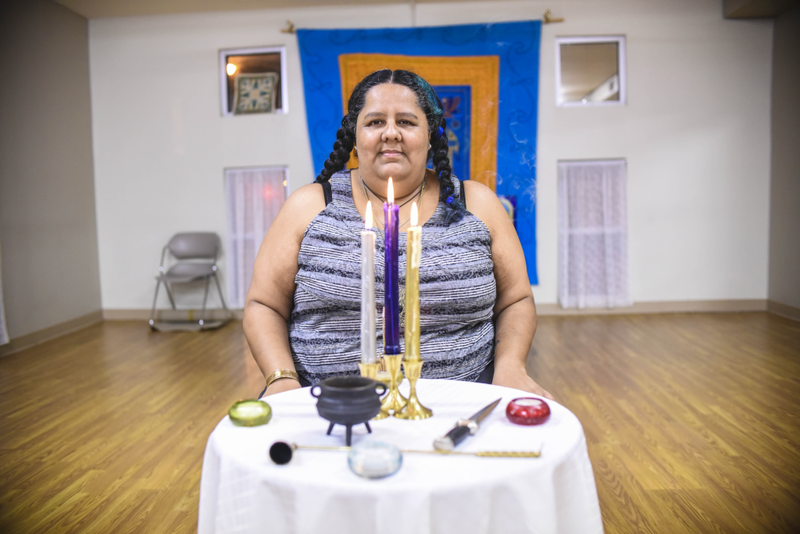 She has a Tarot Business and makes her living as a full time Bruja. In her daily life she is an enthusiastic volunteer for her spiritual community as a co-coordinator of Center of the Elemental Spirit in Chicago for the last 6+ years. She's also a co-editor of the e-zine "El Caldero" (Spanish) and the founder of "Boletin Pagano en Español" (Spanish) a meeting place on Facebook for the Spanish Pagan community; she also participated as a broadcaster for the Pagans Tonight Radio Network show on their Spanish version. 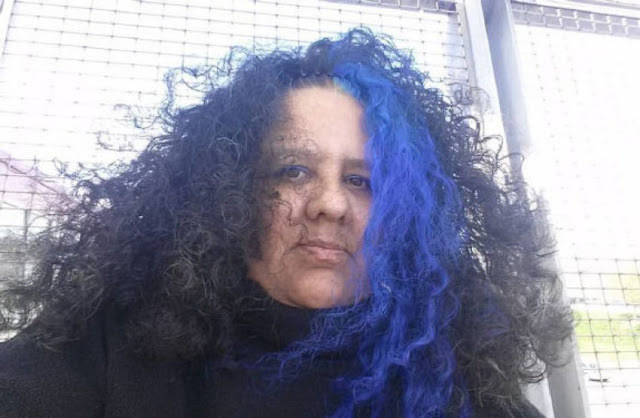 She currently hosts the first bilingual show (on alternating Mondays) for PTRN "Lunatic Mondays - Lunes Lunáticos"
She's presented various workshops for Chicago Pagan Pride (alongside Selena Fox) and the "Ringing Anvil" community group. She's participated with Circle Sanctuary as a Speaker Presenter at Pagan Spirit Gathering 2015 (alongside Janet Farrar & Gavin Bone) and also at their Circle Sanctuary's Samhain Festival 2015. Laura teaches Tarot in private sessions, and has taught English as a second language as a volunteer at a school for adults "Poder Learning Center" in Chicago. 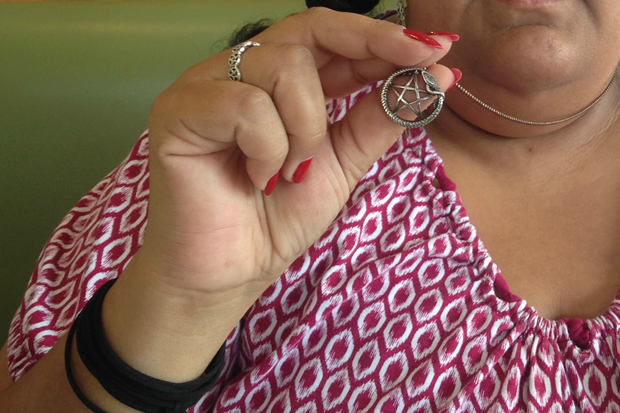 SOUTH SIDE WEEKLY: City Witches Laura Gonzalez, witch for hire. Laura González is a Bruja, tarot card reader, and producer of the world's only Spanish/English Pagan podcast Lunatic Mondays - Lunes Lunaticos. 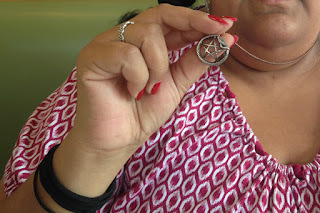 She is based in Chicago, but has witchy sisters across the globe.